Portsmouth NHS Trust have embarked on a number of building projects that will mean better local health services and facilities for people in Portsmouth. 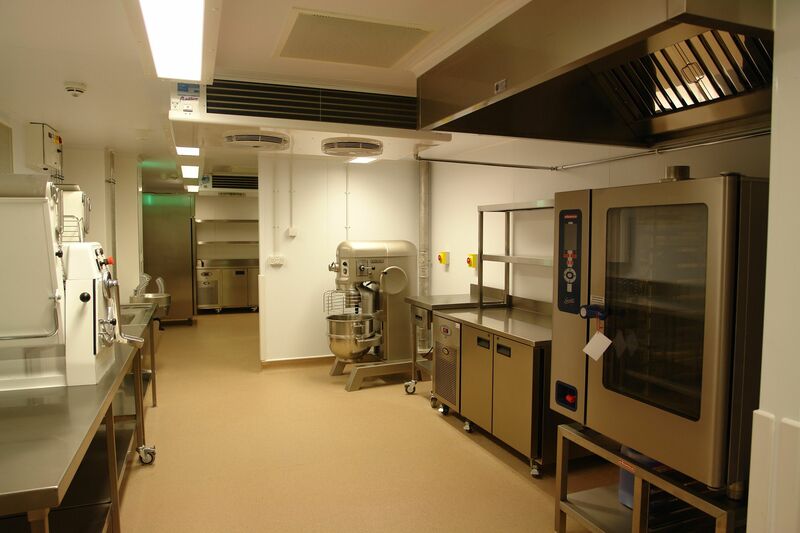 One of these projects was the complete refurbishment of the main and restaurant Kitchens. 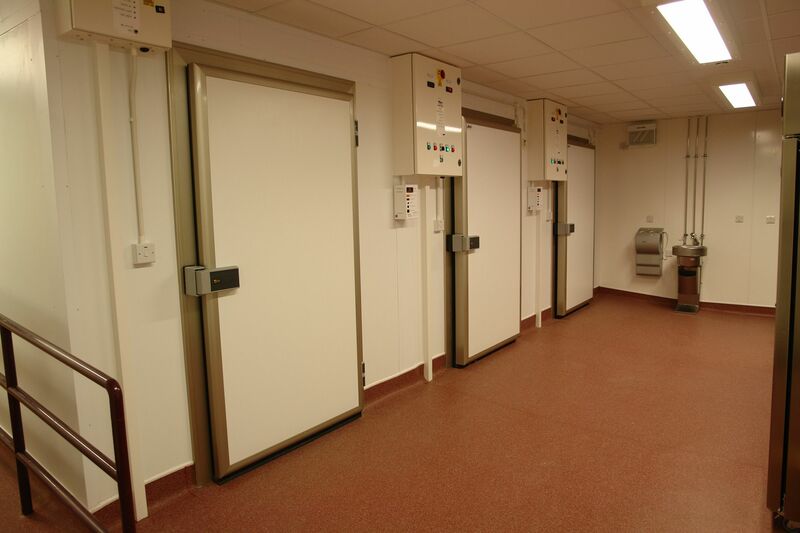 The Portsmouth Hospital Catering Manager, assistant manager & the Hospitals Project Manager were taken to our recently completed CFPU in Cornwall to show the potential for their own site. 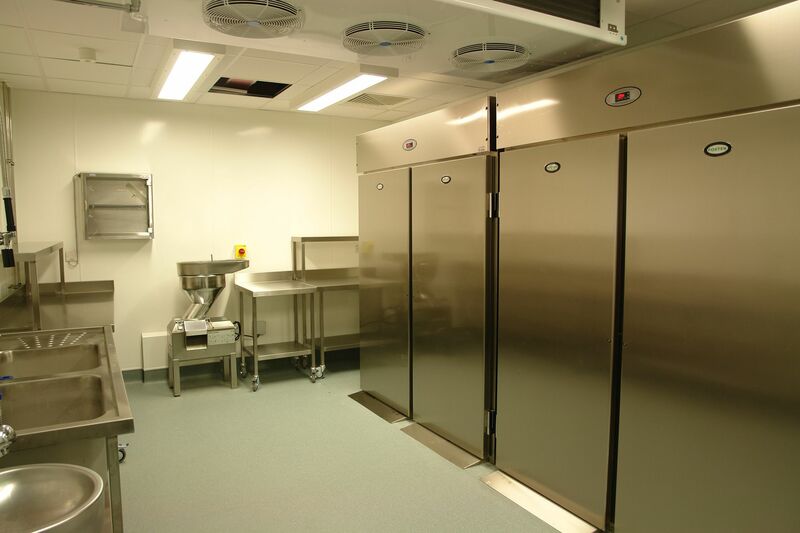 Meals will be prepared by the existing teams of chefs from the Trust’s hospital, using high quality cook-chill techniques, and then be transported throughout the hospital. 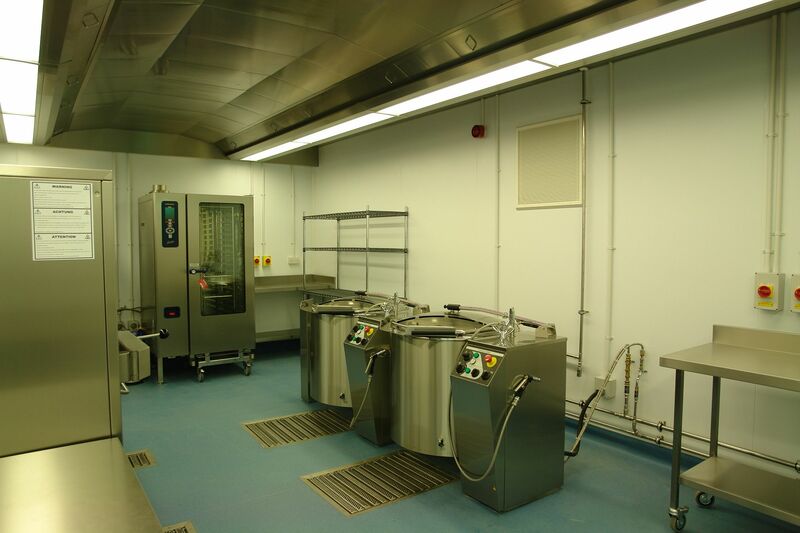 The main cooking & dishwash areas were installed with the first Wimbock Cleans ceiling in the UK. This is a self-washing ventilated ceiling ensuring that the system runs to its full capacity and reduces the need for intrusive maintenance. The System was also fitted with a bespoke heated break tank to eliminating the risk of Legionnaires’ disease, again a first for the UK. 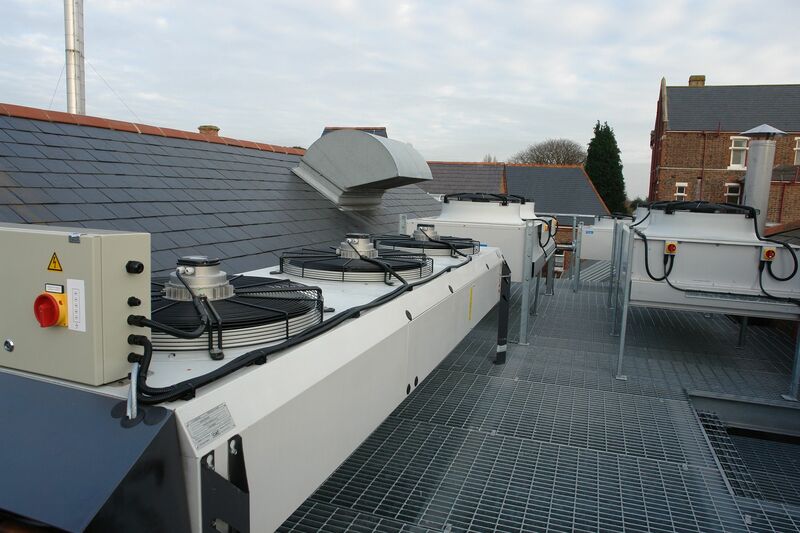 Owing to restricted space on site the refrigeration plant machinery required to be sited on the roof. To achieve this bespoke platforms was installed with all the equipment requiring craning into position. The freezers work on a dual pack system with all the refrigeration working from energy saving Scroll condensers. 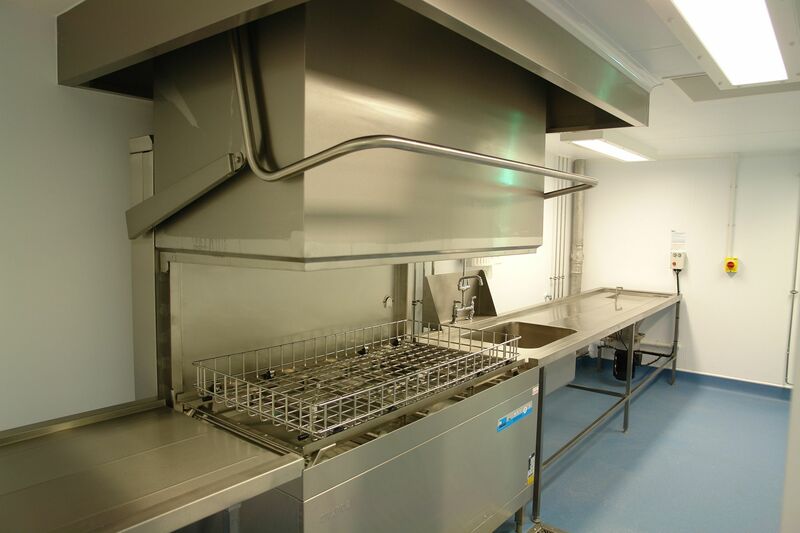 Equipment included Falcon prime cooking, Eloma Combination Ovens, BGL Rieber Metos tilting Kettles, Meiko Dishwashers, Foster Coldrooms, blast freezers and Refrigeration, Robot Coupe Food Preparation Equipment & Wimbock Ventilated Cleans Ceiling with Fire Suppression.